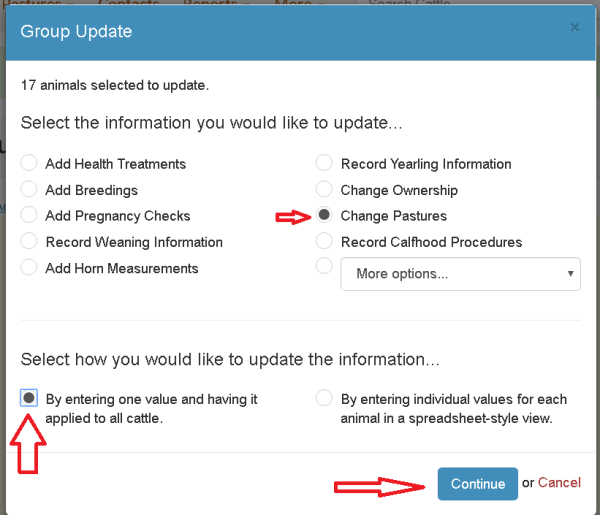 The best way to record the movement is by making a Cattle Group using the EID's then recording the pasture movement. First, you need to download the EIDs to a CSV format file. 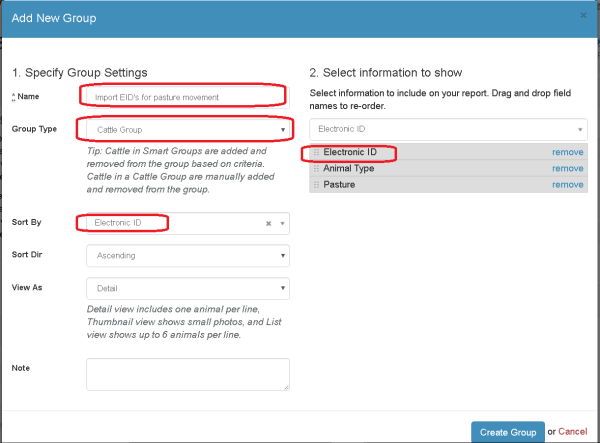 Then click on Cattle > New Group and make a Cattle Group. 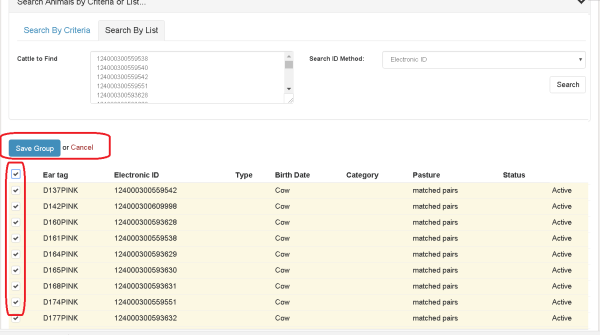 Select Search Animals by Criteria or List. 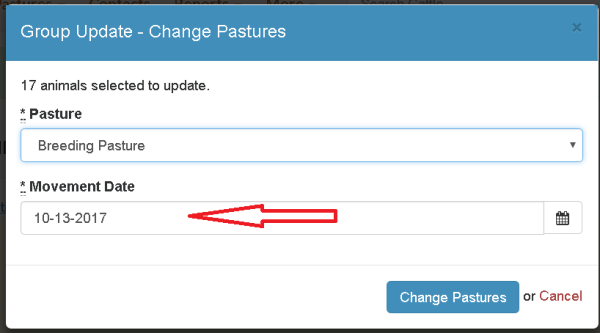 Open your new group, Select all the cattle in the group, click on Group Update Actions > Change Pastures or any other Group Update you wish to perform. Be sure to enter the correct movement date. That will move them. You can delete the group if you wish or you can keep it.